It is my commitment to you as my trusted and loyal follower and my clients to bring you tools, information and education so that you can grow and blossom with infinite knowledge and power to ultimately take over the world and fulfill your dreams. Everything you need is within you, I’m merely here to activate it. My blog goes out every Tuesday, allowing you to get a super-boost at the start of your week. If you think you have something to share that would be of value to my magnificent female audience then please get in touch, this space is for building and sharing my and your expertise to all the sisters out there, we are one and as I honour you, we honour each other. 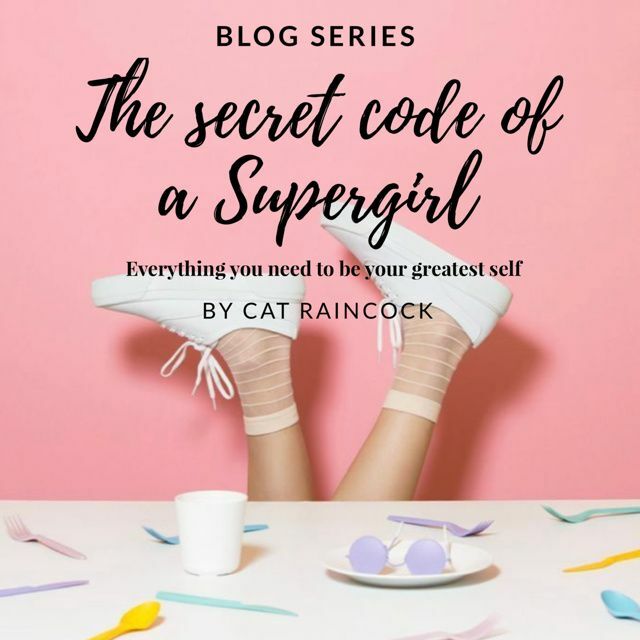 This week I’m talking about holistic health and what are the key factors to living a Supergirl life. I have put together a manifesto that I live by and hope you will too. I have taken my life from ordinary to extraordinary and it begins here. If you want to live like a Supergirl this is where you need to begin. EAT TO NOURISH – Food is the fuel for your mind, body, and spirit. The food you eat matches the way you feel about yourself. High vibe food = high vibe living. Plant-based food is the best super fuel for a Supergirl. That’s not to say no meat but limited meat intake and only buy from organic,well-sourced farms. Too many people use food as a way of self-harming so ask yourself, is what I’m eating healing or hurting my body? I am hungry or am I using this to numb out a feeling? When we bring conscious awareness to our eating patterns, you can see how to, and how not to, fuel your body based on what it needs and wants. MEDITATE – All Supergirls know the power of meditation. Just 5 minutes in the morning every day, will change the way you tackle your day. Ohmmmmmm…kapowww! The benefits are profound. It’s a game changer and will allow you the time to tune in to what your ‘feeling’ instead of filling your time with an activity that numbs it out. YOGA – A Supergirl loves to stretch, move and calm her body and knows it is the greatest compliment to her busy super life. When you slow the body down, you accelerate your superpower abilities! Move it, stretch it, work it! You store emotions in your body so when you stretch you allow breath in to the areas that need it and let go of what no longer serves you. ROLL WITH YOUR CYCLE – Moon cycles, planetary shifts and your own menstrual cycle. When you are in tune with these, like the seasons, you will honour your mind and body at an even greater level. This is a serious Supergirl tool, your own, built in, unique superpower. LOVE YOUR EXERCISE – It’s time to move it and groove it like you did as a kid. Whatever gets your body active is great! Every Supergirl knows how good she feels when she gets her body moving! Stop punishing your body and doing exercise you hate, start loving you and your body and treating it like you do. HONOUR YOUR EMOTIONS – A Supergirl lets her feeling flow so that she can grow. A good cry waters your soul. Let it flow and let it go! When we don’t let it go, it leads to dis-ease in your body. No time for that when you are living a Supergirl life! Don’t push them down or numb them out, honour them, allow the tears to flow, the anger to surface in a healthy and safe way. If you need a duvet day and Netflix following a long meditate then I prescribe that to you! GET SOME SLEEP – A Supergirl lives a super busy life so it’s even more important to catch some ‘A’ grade Zzzz each night! Your body heals when you sleep – fact! Not just that but it’s when you sleep your mind travels and you get a clear connection to your superpowers direct from your soul! Our bodies heal when we sleep – another fact! Our minds let go of emotions and process information while we sleep. It is key to living a long and healthy life. It’s important to go to bed at a reasonable hour and sleep no less or more than 7-8 hours. Annnd Shleeep! LIVE CLEAN – A super girl knows the power of a good detox – this includes your emotions, what you put in your body, on your body, your environment and what you consume in terms of media, food and literature (this includes social media!). Match your high vibe life with high vibe choices on every level! PRACTICE GRATITUDE – Aside from being thankful for your Supergirl life think of 3 things you are thankful for each morning or evening. Gratitude is the antidote to fear and anger. Thank you thank you thank you! SELF LOVE – A Supergirl is so full of love, kindness and compassion towards herself. Love is the answer to everything and it’s start with yourself and spreads out beyond. This is about using kindness and compassion towards yourself, while taking time to self-care. Take your time, baby steps to integrate these practices in to your life. This is about creating a new way of living – high vibe life for a high vibe being! I support all my followers and clients so please ask any questions on how to begin your transition from ordinary girl to an extraordinary on my Instagram page so that other women can see your response and learn to. You have got this covered. Here’s to you and your Supergirl journey, I’m right by your side as your number one cheerleader! Go girl!!! Remember: If you think you have something to share that would be of value to my magnificent female audience then please get in touch, this space is for building and sharing my and your expertise to all the sisters out there, we are one and as I honour you, we honour each other.